It Called Me. I Heard It. The Sanguine Gryphon has lots of beautiful stuff. But this particular batt told me I was taking it home. No arguments. 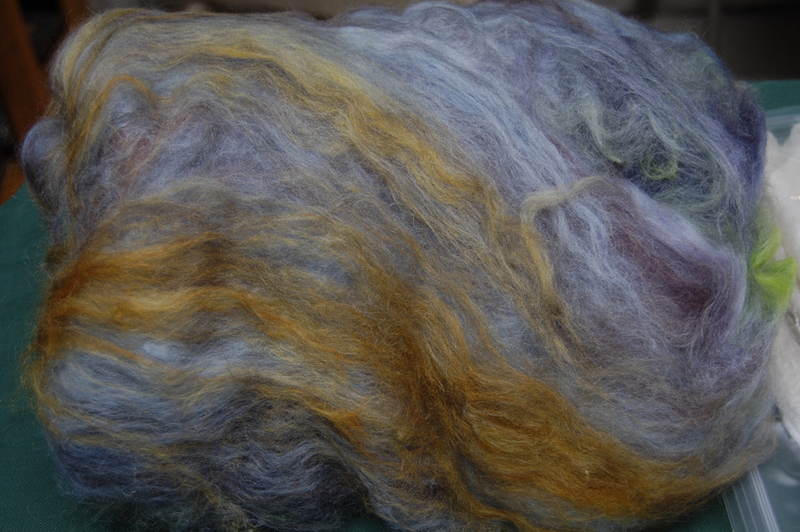 It’s three ounces of superwash merino and silk bliss. I am so happy with it. I could just sit there and pet it all day. 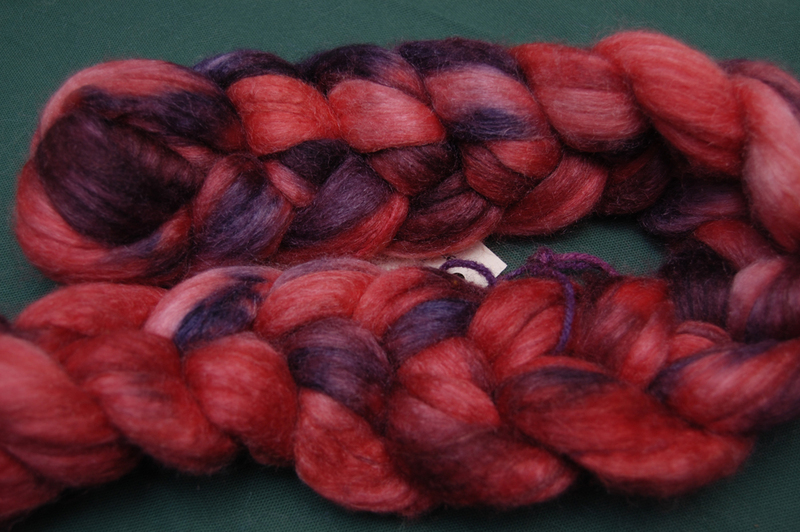 Oh, and I also happened to pick up this phenomenally red roving. This place is definitely going on my “favorite places to get gorgeous fiber” list. One Response to It Called Me. I Heard It. Well, I’m starting to think it might not be safe for me to go to a fiber festival! I might not be responsible for my actions . . .